Eisspeedway Journal: "It's a shame that they lost some two points": the speedway club "Vostok" lost to "Turbine" in Vladivostok. "It's a shame that they lost some two points": the speedway club "Vostok" lost to "Turbine" in Vladivostok. 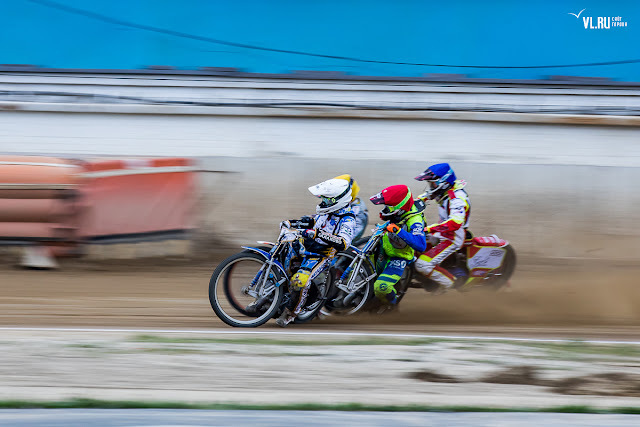 August 3, "Vostok " lost "Turbine" Balakovo in the regular home race of the national championship on speedway - 44:46. The outcome of the fight was decided in the last race, and most of the meeting the score was equal. Before the start of the race, many said that "Turbine" and "Vostok" are equal in strength to the team. In the course of the whole match, the maximum difference in the score was only two points, and most of the races ended in a draw - 3: 3. Nevertheless, after the 11th start of "Turbine", thanks to the efforts of Viktor Kulakov and Vladimir Bogma, managed to win the race - 4: 2 and grab the lead in the race, which remained until its end.